Congratulations, Rosi! Expect an email from me asking for your mailing address. 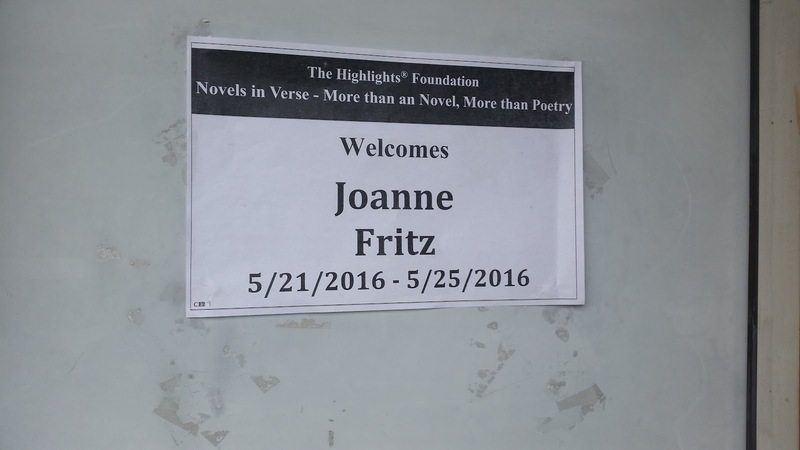 Please note: I'm taking a blogging break for a few weeks so I can focus on revising my verse novel. 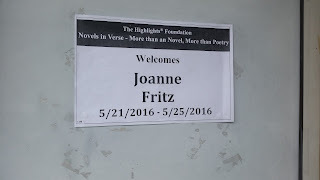 I received some fantastic feedback on it at the Highlights Foundation workshop on Novels in Verse in late May. Those five days were a magical experience, filled with learning, sharing, and making new friends. Really, we felt more like a family by the end. The food was heavenly, we took walks without seeing a single vehicle (! ), and there was plenty of built-in time for writing. I'll be back in July with a more-detailed recap of my adventures. I'll leave you with some photos from Highlights. 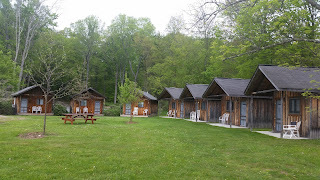 My cabin was the second from the left. Rustic and cozy and very conducive to writing.